Parents who worry that their children may stumble across offensive content on the internet can set their minds at ease thanks to GodBlock, the new web filtering software that will block out the "violent, sexual and psychologically harmful" material found in many holy texts. Are you worried that exposure to harmful media may irreversibly damage your young child's development into a healthy adult? Do you wish you could protect your children from images of violent death, destruction and even globe-spanning apocalypse? Soon you'll be able to with GodBlock, the new web filter designed to ensure a healthy, happy online experience for everyone. "When installed properly, GodBlock will test each page that your child visits before it is loaded, looking for passages from holy texts, names of religious figures, and other signs of religious propaganda," the GodBlock website explains. "If none are found, then your child is allowed to browse freely." According to the GodBlock development team, even children raised in a secular household are at risk of being exposed to religious content on the internet. 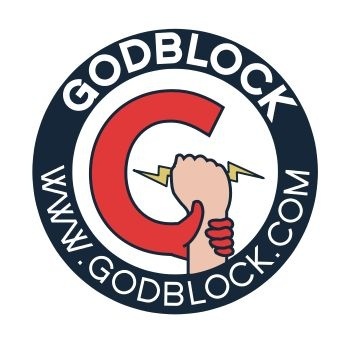 "GodBlock is a web filter that blocks religious content," the site says. "It is targeted at parents and schools who wish to protect their kids from the often violent, sexual, and psychologically harmful material in many holy texts, and from being indoctrinated into any religion before they are of the age to make such decisions." Unfortunately, you can't actually block God just yet; hitting the download links, which purport to offer both Windows and Mac versions of the software, opens a message advising potential users that the program is still in development. Interested users can sign up for a mailing list that will keep them abreast of updates and true (non) believers can also donate to the project, for which they will be mailed ten GodBlock stickers. Is this a legitimate project, some kind of publicity stunt or maybe a twist on the "send me money" formula? Perhaps a sequel to Dante's Inferno is on the way? No matter what it is, it's hard to miss how easily "religion" slips into the space normally reserved for other, more conventional forms of "dangerous" media influences - videogames being very near the top of that list. Whether or not a religion-free internet will ever become a viable option, GodBlock is no doubt already catalyzing some pretty interesting online conversations.